Removal ProcedureRemove the primary camshaft drive chain tensioner. Refer toPrimary Camshaft Intermediate Drive Chain Tensioner Replacement. Position the primary camshaft drive chain lower guide to theoil pump. Install the primary camshaft drive chain lower guide boltsand tighten to25-Y(18-lb-ft).Install the primary camshaft drive chain tensioner. 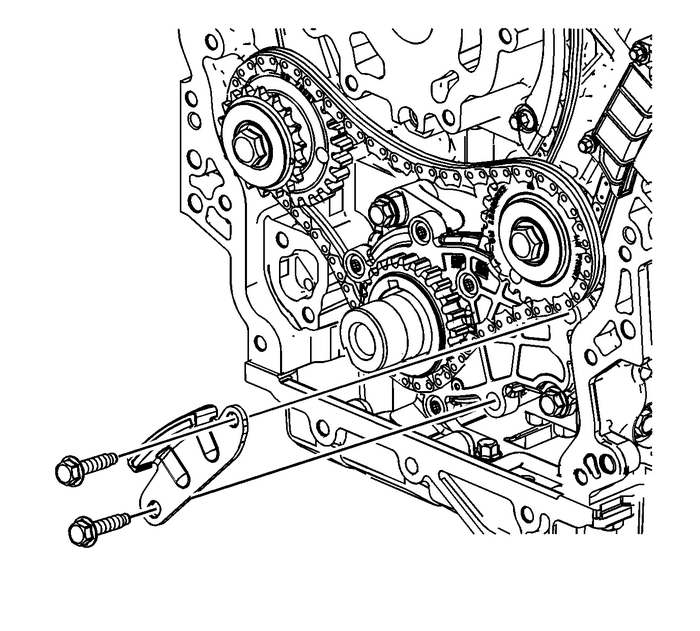 Refer toPrimary Camshaft Intermediate Drive Chain Tensioner Replacement.